hd00:09Beautiful girl sitting in the park and draws a picture using a palette with paints and a spatula. 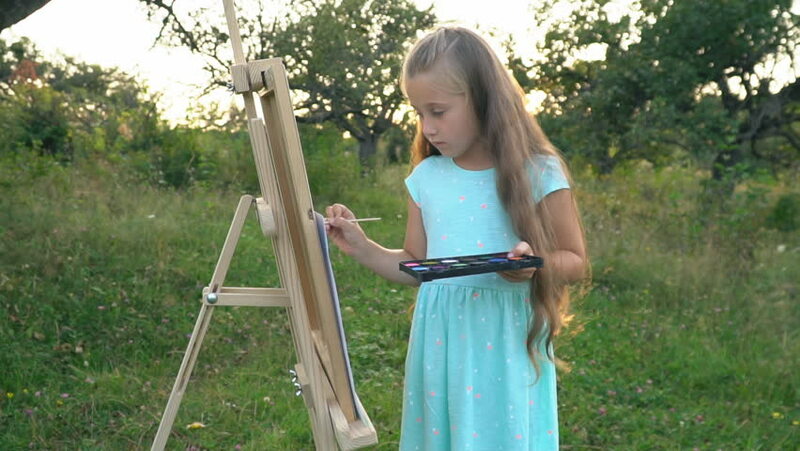 hd00:17Beautiful girl draws a picture in the park using a palette with paints and a spatula. Easel and canvas with a picture. Summer is a sunny day, sunset. hd00:23Young blonde woman with long hair texting on smartphone sitting on the wooden swing on the meadow among the mountains. Concept of modern technology.